NYX has been on a roll lately with their product releases with and this Eyebrow Gel was something I was really interested in, especially since I was disappointed in the Anastasia Dipbrow. 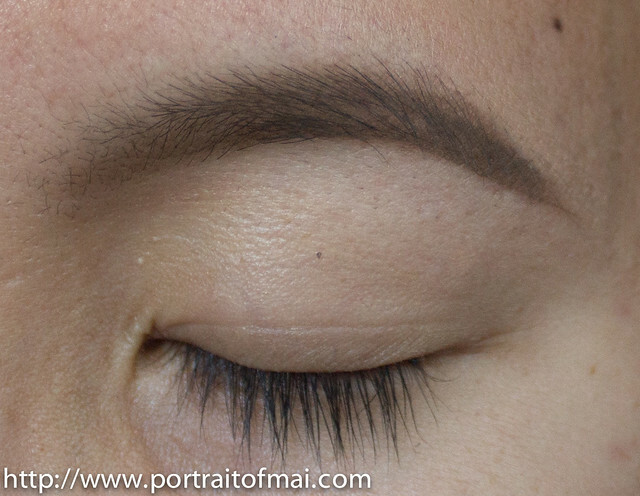 It's starting to become a hot summer in Southern California so I definitely need something to wear on the brows. 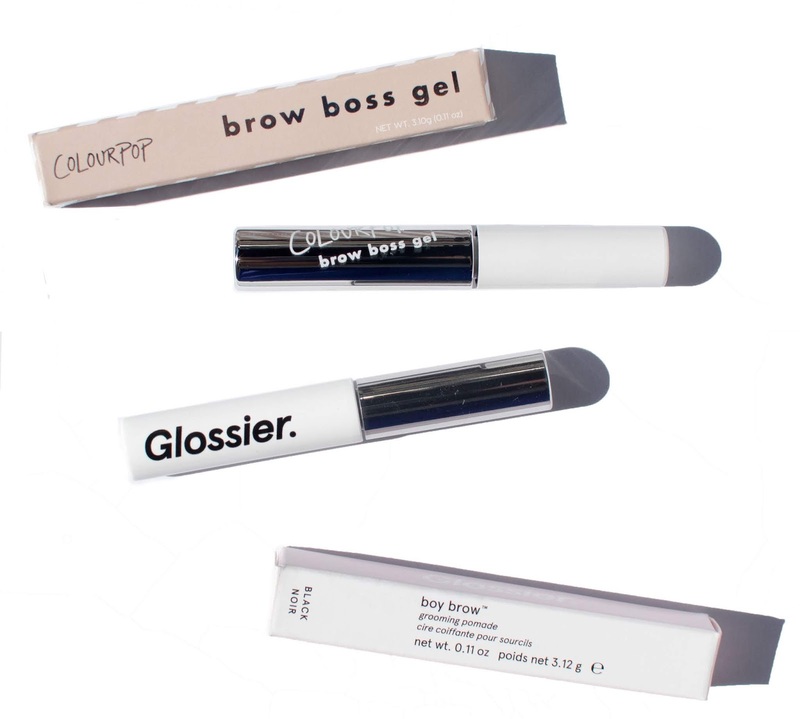 The Eyebrow Gel is touted as being waterproof, long-wearing, and smudge-proof. It comes in five colors, Blonde, Chocolate, Brunette, Espresso, and Black. I chose to get Brunette because Chocolate appeared too red-toned and Espresso too dark. 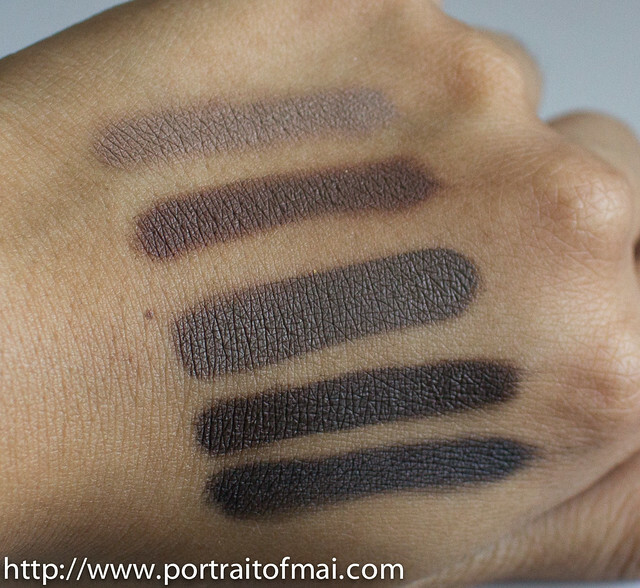 Here are swatches of the five colors so you can decide which to get. Do they test on animals? : The company does not. Packaging: The Eyebrow Gel comes in a squeeze tube with a nozzle tip. Unlike the other colors in the line which were more a thicker cream, Brunette was slightly runnier. You can get both a dramatic look and a natural look to the brow depending on how you apply it. For a dramatic look you can use a brush and for a more natural look, you can apply it with a spoolie for great hold without the bold look. When using a brush, I preferred wiping my brush over the nozzle tip and then applying it onto my brow. When using a spoolie, I squeezed a little product onto the back of my hand and ran the spoolie through it to pick up minimal product. In either case, you have to work quickly though because it dries down within 15-20 seconds. Some people will make comparisons to Make Up For Ever's Aqua Brow and while I do own the Aqua Brow, I have the one prior to their vamp of the shades and potentially the formula so I'm not able to make a real comparison. Brunette is more of a neutral to neutral cool brown. It doesn't run too red on my skin tone. The swatch photos below were taken in natural daylight with no flash. Here's a swatch of it applied with a brush which is good if you want a more defined or dramatic look. Here's a swatch of it applied with a spoolie which is good if you want a more natural look. 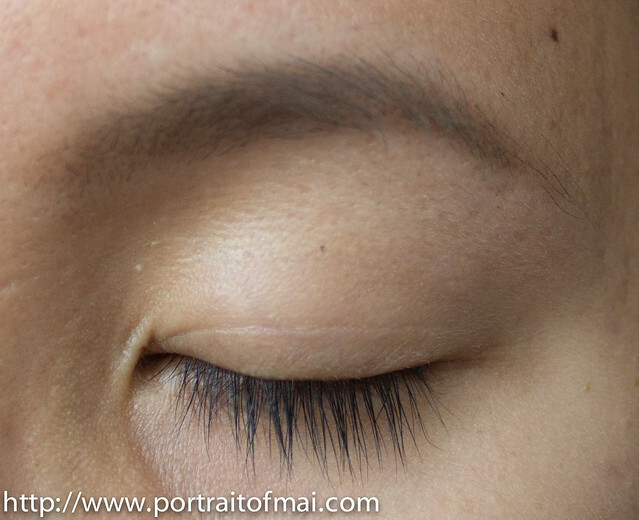 If you don't have a natural brow, this method of application may not be for you. After 8 hours later on a hot day and through a nap, my eyebrow was still there with no discernible fading. I was very pleased with the wear time; although it wasn't completely smudge proof by the end of the 8 hours, it took me a lot of effort to actually smudge off my brow. I consider it mostly smudge proof and definitely long-wearing. This will be perfect for the summer months! I was skeptical at first but I'm very pleased with my results. Even on a hot day, my eyebrow lasted extremely well. I like that you can get either a dramatic or natural look depending on how you apply it. If you're more of a beginner or want that natural look, the spoolie method might be the way to go. If you are more experienced wanting a defined look, use a brush. I'd say that the biggest negatives are the quick dry time and the limited range of colors. If you can work quickly and find the right shade (or mix the shades), I think you'll really like this! What are your currently using on your brows now? Any thoughts on potentially switching to the NYX Eyebrow Gel? Disclosure: I purchased this Eyebrow Gel myself. I was not compensated for this post and all opinions are my own. This sounds like a great price and a great brow product. Thank you for the thorough review and wear test! It's always so helpful! I just use this It Cosmetics Universal Brow pencil that I got as gift with purchase. Ooohhhh I am totally checking this out. I have the ME brow and this looks like it. And the price is amazing! Great post! Looks like a nice product. I wish they did an auburn, although Chocolate might work for that? WOWOWOW. I wasn't ready to splurge on the Dipbrow, and I wanted to try the MUFE aqua brow but I don't buy non-CF anymore. This is perfect, thank you! This sounds like a really great brow product! This is something new for me. Sounds great! Thanks for your review on this. I think I will try it. OOO! I want to try this! Great swatches - I like the color range! You brave girl, you! I'm a little afraid of brow gels. I feel like I'll use too much. OOoo...they look sooo good! I would probably use the same shade as you! It's nice to see so many shades available. What a neat product! I love that it's pretty smudge-resistant, and that you can apply it different ways for different looks. I like it with the brush. Looks like it's a great product! At first glance, I thought it's from MUFE! very similar packaging. thank you for doing this review... I have been waiting to see one from someone I trusted. Awesome. Oh I like this color you got! It looks great on you. I've never seen this product before but it looks really nice! This looks like a fab product! Wow. These look JUST like the MUFE Aquabrow. I wonder if they perform the same. Just bought the blonde AND brunette of these. Anastasia came out with the taupe dipbrow I've been waiting for, and I bought it, but then I saw the NYX testers at my ulta after checkout. I experimented with mixing the blond and brunette and in the right amounts it is IDENTICAL to the taupe dipbrow. Returned the dipbrow and went online to order. 0.68 (2 gels) for $14 vs. 0.12 oz for $18 is a no brainier! Nice on you. 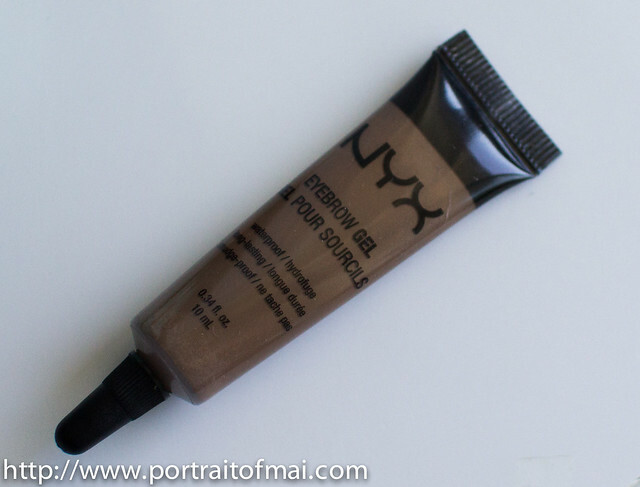 I can't wait my own NYX eyebrow gel in espresso. I just found your blog! This is LOVELY! 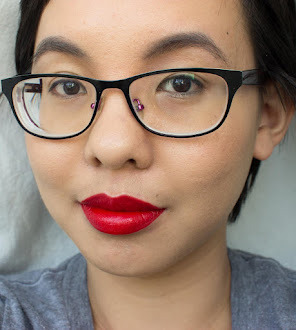 June 2014 Beauty and Other Favorites!